3 Bedroom Semi Detached House For Sale in Liverpool for Asking Price £195,995. Entwistle Green are presenting to the market this beautifully presented, modern, three bedroom family home. The property briefly comprises; entrance hall, lounge, kitchen, dining room, conservatory, first floor landing, three bedrooms and a family bathroom. 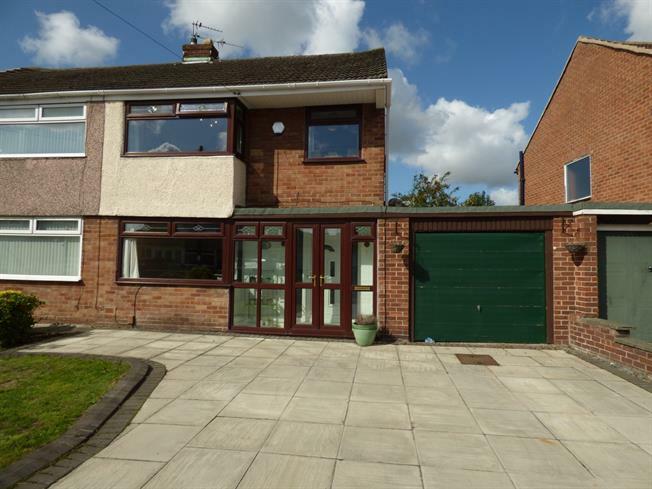 The property also benefits from a driveway to front, garage and sunny rear garden. Early internal inspection of this impressive home is highly recommended! Double glazed uPVC 3/4 bay window. Radiator. Double glazed uPVC windows. Tiled flooring. Doors to garden. Double glazed uPVC 3/4 bay window to front. Radiator. Double glazed uPVC window to front. Radiator. Claw foot bath with thermostatic shower over. Low level wc. Wash basin. Feature tiled walls and flooring. Double glazed uPVC window. Heated towel rail. Driveway to front. Rear enclosed garden with patio seating area, laid lawn and lovely sunny aspect.